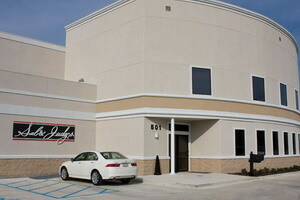 « Homepage / Gourmet / "The Real Thing: Private Label Under Expansion"
Sal Impastato, proprietor of the popular Sal & Judy’s restaurant in Lacombe, opens a new 20,000-square-foot kitchen and manufacturing facility this month in Slidell, featuring a line of his popular original products as well as products made from all natural ingredients for other chefs. Along with his skilled team of professionals who are committed to the quality of items produced, he is busy meeting the high demand due to his unbelievably competitive prices to distributors, retailers, and wholesalers for their chef-made products. The chef comes from a long line of Italian cooks who take pride in the culinary arts. The journey to becoming proprietor of Sal & Judy’s and a producer of private label products was years in the making. The young Impastato arrived in America from Sicily in 1960 to work with his uncle, Joe Impastato, at the Napoleon House in New Orleans. Although he got a job as a bartender, his heart was always in cooking. As a young boy, Sal had learned to make fresh cheese from goat’s milk, olive oil from his family’s olive groves, wine from their vineyards, and homemade tomato sauce with freshly picked tomatoes from the garden. His father, Pippino, and his brothers were well known for their bottled tomato sauce, olive oil, wine, and cheese. The 18-year-old Sal brought with him generations-old family traditions of Sicilian cooking. 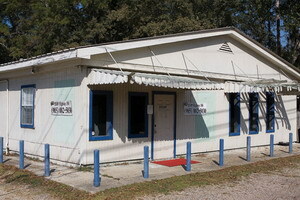 The self-taught chef decided to open his own restaurant in 1974 after working his way through various kitchens, including Moran’s and La Louisiane in New Orleans. Today, Sal & Judy’s has an increasingly devoted local clientele that is continually enamored with the chef’s superb Creole Italian cuisine. Crawfish and crabmeat cannelloni, spaghetti and oysters, crawfish au gratin, and crabmeat stuffed artichokes are among the signature favorites. One customer has been showing up every Wednesday for the last 32 years to have his “fix” of Chef Sal’s famous lasagna and veal. 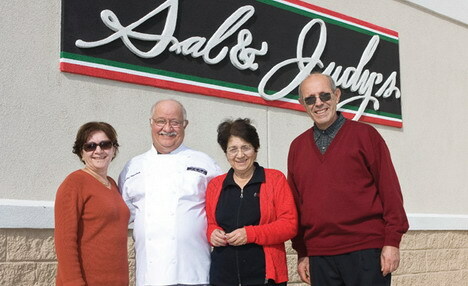 About 10 years ago, the demand for Sal & Judy’s in-house pasta sauces and salad dressings grew so large that Chef Sal decided to share his cuisine with loyal customers by creating a line of Sal & Judy’s products, which he made in the back of the restaurant. At the start, the line included just two products: Italian dressing and tomato sauce. He eventually moved to a larger distribution facility nearby. The line of Sal & Judy’s Products LLC now includes 19 products, from the original tomato sauce to marinades, salad dressings, olive oil, and olive salad. The Impastatos are taking the business to a new level by offering chefs’ private label products. This is partly due to the fact that in the last 10 years, private label products in the United States have out-performed manufacturer brands in all but one category. They now account for 20 percent of United States sales in supermarkets and among mass merchandisers while enjoying a healthy share of sales in department stores and specialty stores. Sal & Judy’s Products LLC offers large-scale production with patented machinery that allows for a hands-on process, resulting in a superior quality of the product. They have the ability and expertise to pack a variety of specialty products for their customers’ brands as well as their own chef-made product lines. Chef Sal maintains the integrity and methods the chefs (clients) use in their original recipes. Their objectives include achieving distribution of the various chefs’ products, inventory control, quality control, recipe protection, consistency and uniformity in packaging, and price stabilization. “We are not just manufacturing our own product line,” says Joe Impastato, Chief Operating Officer and the son of Sal Impastato. “We do products for other people and we are growing that division. We have an R&D [research and development] team and we test the acid levels for PH, we test the salt activity, the water activity, and other basic shelf-life components. One of the biggest things we do is to keep all of our products natural. We don’t fool with a lot of products that cannot be shelf stable. 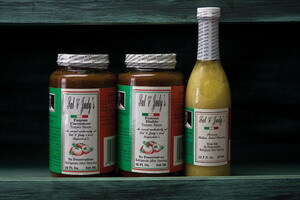 Pasta sauce is a great example.” The Impastato family has been producing bottled sauce for over 100 years. Here you can write a comment to the post "The Real Thing: Private Label Under Expansion"